The ability to read the DNA sequences of different organisms has transformed biology in much the same way that the telescope transformed astronomy. And yet, much of the sequence found in these genomes is as enigmatic as the Rosetta Stone was to early Egyptologists. 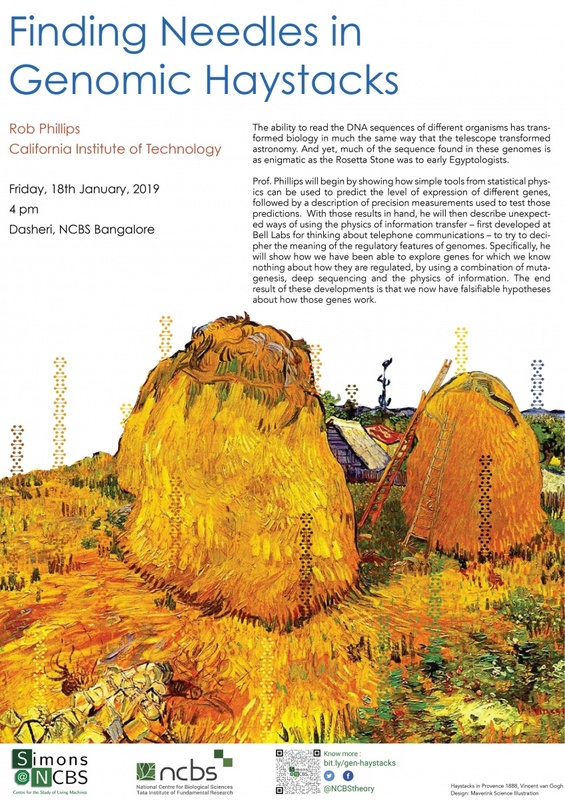 Prof. Phillips will begin by showing how simple tools from statistical physics can be used to predict the level of expression of different genes, followed by a description of precision measurements used to test those predictions. With those results in hand, he will then describe unexpected ways of using the physics of information transfer – first developed at Bell Labs for thinking about telephone communications – to try to decipher the meaning of the regulatory features of genomes. Specifically, he will show how we have been able to explore genes for which we know nothing about how they are regulated, by using a combination of mutagenesis, deep sequencing and the physics of information. The end result of these developments is that we now have falsifiable hypotheses about how those genes work.